Psychology | Who cares about Science? Have you ever wondered what is the most discussed science discipline on the Web? As far as I am concerned, yes, I have. So, firstly, I looked for both a popular and influential classification of science disciplines. 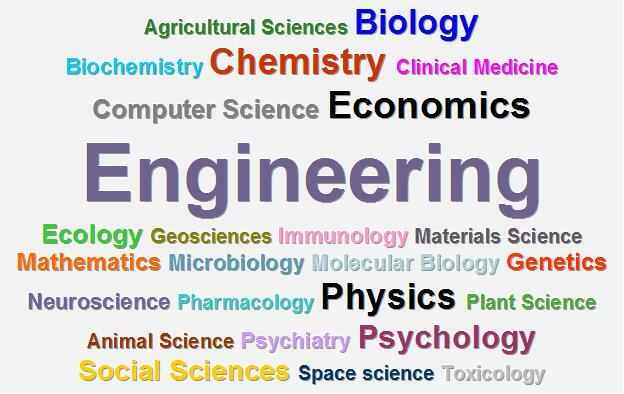 As you can see in the above cloud, “Engineering” is the most used word, followed at a distance by “Economics”, “Chemistry”, “Physics” and the other ones, until “Animal Science”, the loss employed term.